Every year, Inwelle Study and Resource Centre, Enugu holds a symposium to mark the end of its project year. 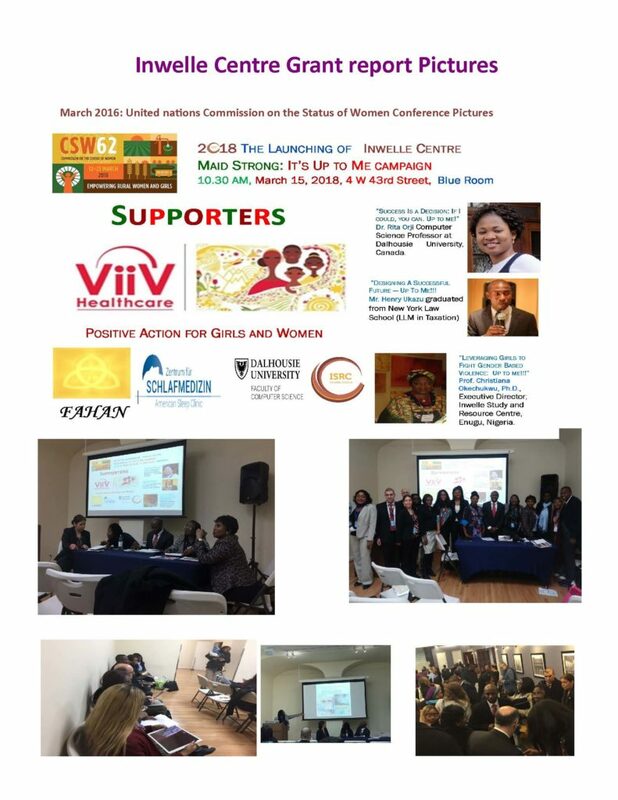 These symposia are designed to create awareness for parents and the entire community by selecting themes aimed at sensitizing parents to the potentials of youths, especially adolescent girls, to be empowered to live an un-circumscribed life. In 2018, Inwelle Centre returned to the United Nations. Click the image below to see and download the 8 paged pdf with images of our 2017 accomplishments. Every year, Inwelle Study and Resource Centre, Enugu holds a symposium to mark the end of its project year. These symposia are designed to create awareness for parents and the entire community by selecting themes aimed at sensitizing parents to the potentials of youths, especially adolescent girls, to be empowered to live an uncircumscribed life. 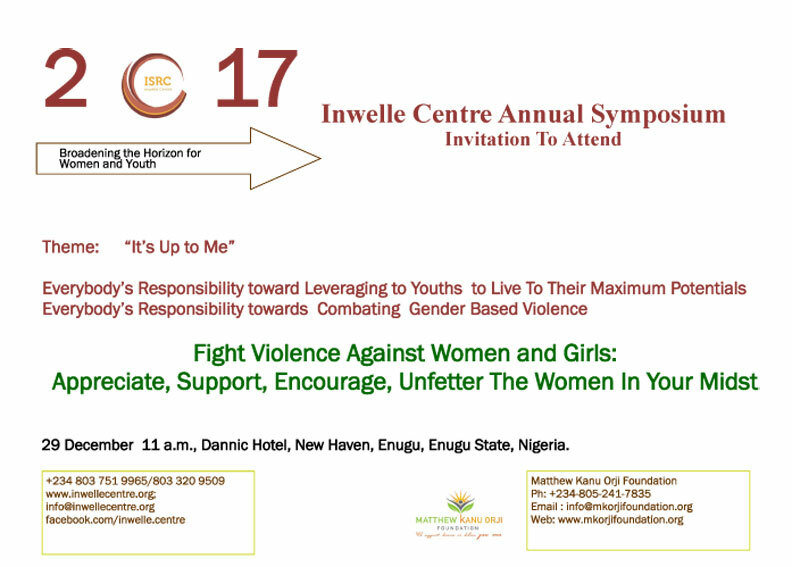 In 2017, Inwelle Centre started its “It’s Up to Me” Campaign to enable youths, especially adolescent girls achieve success and have a sustainable adult life and combat Gender Based Violence, to empower youths to achieve, to sensitize the society on issues surrounding violence against women and to join in the fight to stop violence against women. When everyone of us embraces Inwelle Centre It’s Up to Me campaign in stopping gender based violence, violence against women will be defeated. If you want to join this fight, like this post and share it. Make “It’s up to me” your everyday resolution. How Will You Empower Her?